Music and literature, two methods people have used for centuries to express themselves and entertain others. Two methods that one their own have spawned tons of classics and solidified themselves in history. So, what would happen if the two were to be intertwined and become one? This was a question raised by Ice Nine Kills a few months back when they announced their latest release, Every Trick in the Book. A fusing of 10 great pieces of literature and their own top-notch lyrical and musical writing abilities. The pairing seemed perfect so of course the anticipation has been high as we’ve awaited its release. Now, the time has come and we get our first exposure, does it live up to the hype? 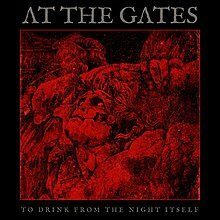 The album kicks off rather mellow with lead singer Spencer singing over a piano on opening track, The Nature of the Beast. But about 45 seconds in we are reminded that this is in fact an Ice Nine Kills album and the tempo and aggression is quickly switched on. This track quickly became one of my favorites with its balance of aggression and a catchy chorus. I have found myself several times walking around singing it out loud. It’s a great opening track to help set the tone for the rest of the album. The next two tracks were both released as singles (Communion of the Cursed and Bloodbath & Beyond) and have both been given a proper detailed review by us so I won’t go into detail there. Both are great tracks that really solidify the opening portion of this album. This brings us to The Plot Sickens which really carries a very energetic groove and sing able chorus, it’s also features a great guitar solo laid down by JD! Another well-crafted song that needs to find its way into their live set. It’s at this point in the album now that we are given a breather with Star-Crossed Enemies. 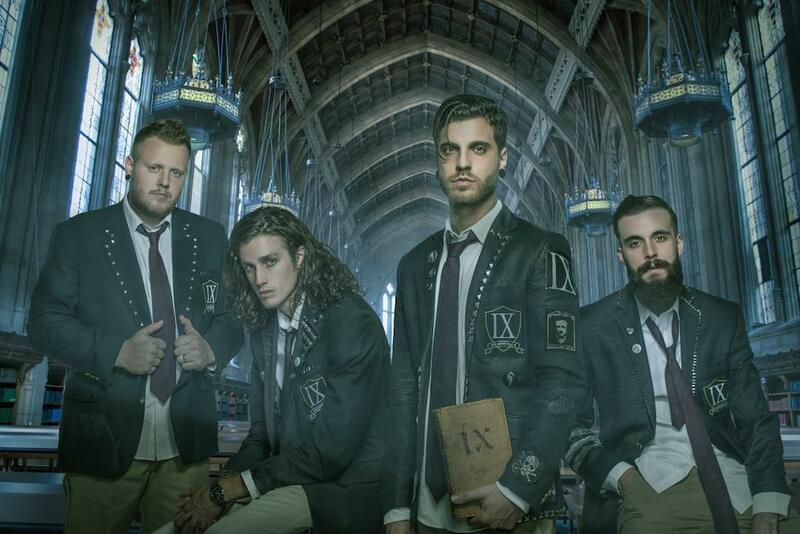 It’s the Ice Nine Kills equivalent to a power ballad. Spencer gets to really show off his range here and allow his vocals to really carry the song. Earlier this year when Ice Nine Kills was touring with Motionless in White we got an early taste of the next track, Me, Myself & Hyde. It was the first sign of this more mature sounding version of the band and I thought the story telling aspect of it amazing. The song for the most part remains the same as what we were shown back then, the instrumentals have been re-recorded to fit the tempo a little better. 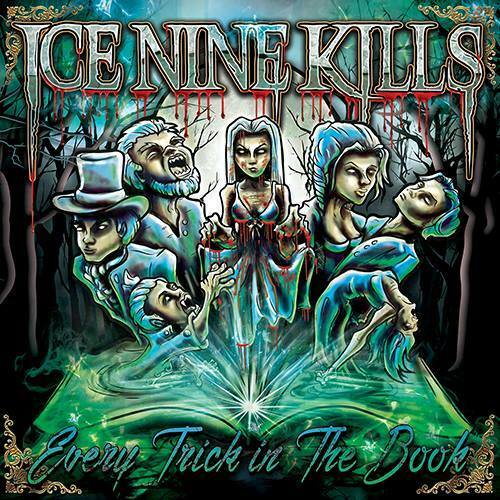 This song remains one of my favorites of all the tracks from Ice Nine Kills to this day, it also helps transition us into the final segment of the album. Up next is Alice, which is a little bit slower in comparison to the rest of the album. 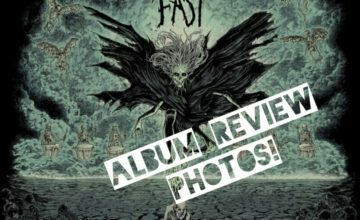 Slower does not always mean bad for metal bands, in this case it does work well as again we get to see Spencer’s singing abilities and vocal range. This continues through the next two tracks as well as the album seems to pump the brakes on the tempo and aggression but in place really demonstrate their song writing abilities. Leading us to our finale, Hell in the Hallways, which gives us a good blend of everything we’ve seen up to this point. It’s got the singing, it’s got the crunching groove and the aggression is in their too. Having followed this album for a few months now I got to say my hype meter was at an 11, this album couldn’t come out soon enough. After all this time and finally having the album in my hands I can honestly say it met all the expectations I could have hoped for and then some. I had the chance to chat with some of the guys when they came through our area recently and you could tell they were excited about this about, and rightfully so. 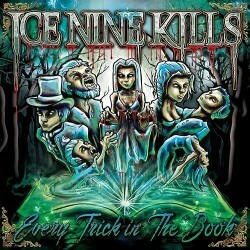 Every band has that album that will forever be held up and placed on a pedestal to which its then compared against everything they put out, and this album is it for Ice Nine Kills. 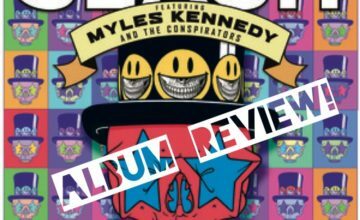 The band has its pedal to the metal coming out of this release and will be a force to be reckoned with.